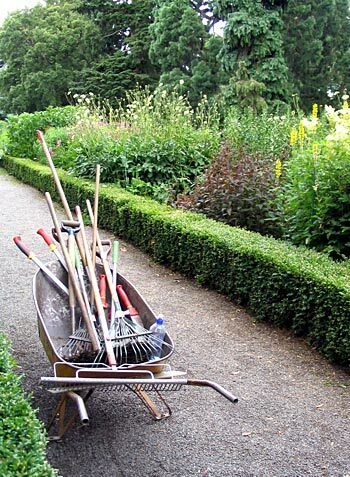 This is the report of my first prepared visit to another garden - my return visit, with notebook and pen (and walking friend), to the beautiful Christchurch Botanic Gardens in New Zealand. Full of confidence my walking friend and I arrived in our sensible walking shoes and deliberately chose a different entrance gate. The day was mild, but cloudy - perfect for the taking of stunning photographs. My walking friend is an easy-going and sensitive garden visitor, gracefully sliding sideways out of range when I take any vista photographs. And she clucks appreciatively when I poke the camera (with close-up button on) into the greenery. 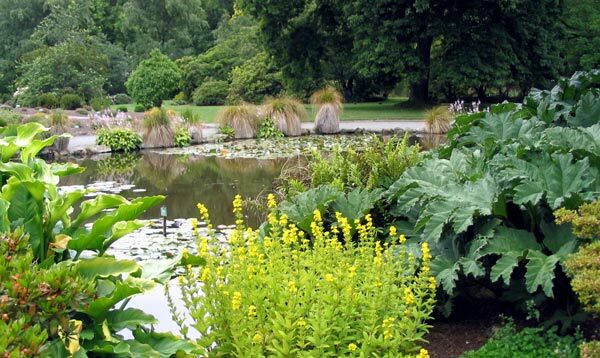 The Christchurch Botanic gardens are huge and beautiful - possibly even famous overseas as well as locally. There are different themed areas - a New Zealand Native garden, a delightfully natural rock garden, ponds, an old-fashioned rose garden, a spiky garden full of yuccas, and so on. There are mystic groves, secret lawns, mighty Australian Eucalypt trees, huge old English trees with plaques, tame ducks, more ponds... and of course the river Avon lazily flowing through. You would think that all the greenery alone would be inspiring for a fledgling garden reporter, with notebook and pen in hand. On my first visit to the Christchurch Botanic Gardens I was totally distracted by the old-fashioned rose garden. So this second visit was intended to be a serious, more general garden report. I'm afraid I've failed dismally! The notebook didn't work - it has just one page of scribble. I have proudly written down 'An old Pinus Radiata, Monterey Pine' - this is hardly memorable stuff! 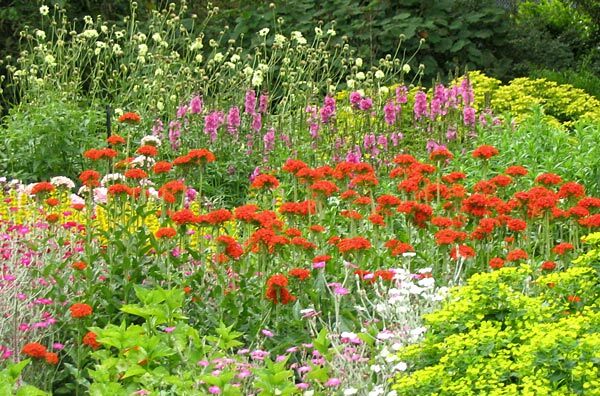 Then I've written the name of a favourite perennial which I grow. I spied it in the long herbaceous border - it's called 'Lysimachia Ciliata purpurea'. It has purple foliage and is a good drought indicator in the Moosey garden. There's one sensible label name written down below that, however. 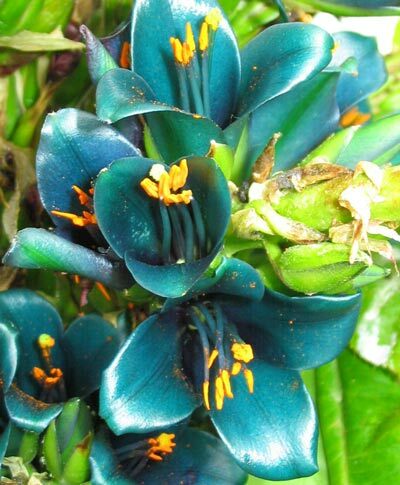 I now know I took a photograph of a 'Puya Alpestris' in flower. It's a large spiky plant with bluey-green flowers and orange spikes, from Chile! Finally, I've written that the hydrangeas have 'marshmallow colours'. You'd think I'd remember that small detail! The photographs are worse. 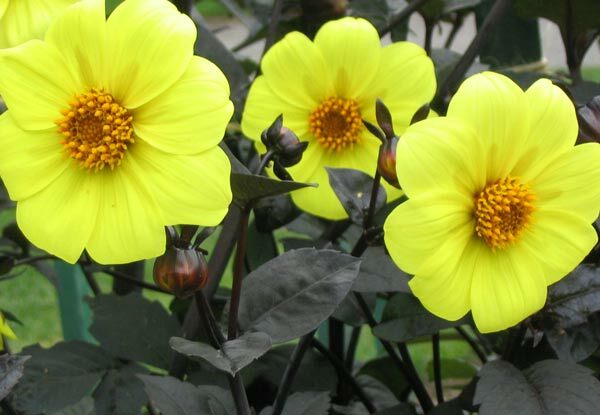 I have taken squillions of shots of a humble yellow dahlia (just because I don't have one?). My walking friend takes garden visiting very seriously - she will not be impressed with my feeble descriptions. At least I didn't take a dictaphone - next time, maybe?